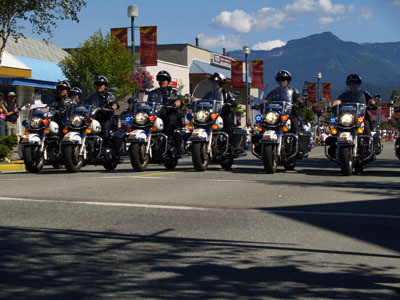 Always a family favourite, the parade will begin at Vancouver Street, travel up Cleveland Avenue and end at the Bank of Montreal. 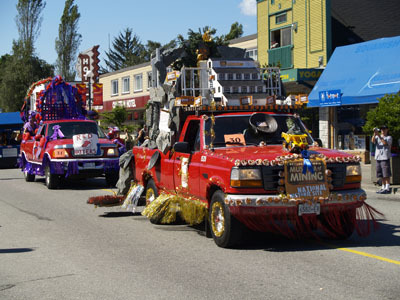 Floats must be at the staging area by 9am to be included in the judging. 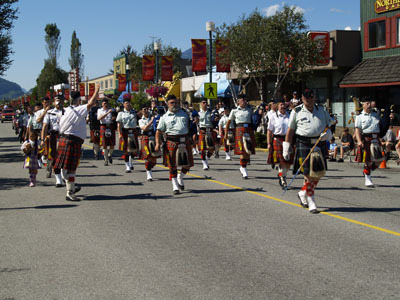 Categories for this year’s parade include: Antique Vehicles, Commercial, Log/Heavy Equipment, Community, Humorous, Marching/Drill Team, Mascot, Animals, Association/Club, and Bands. Get your entry form in early to secure your place in the parade – remember entry is FREE!